2018... hmm what can I say? It was a year for a sure aha. On the book front, I didn't read nowhere as near as much as I would have loved too. 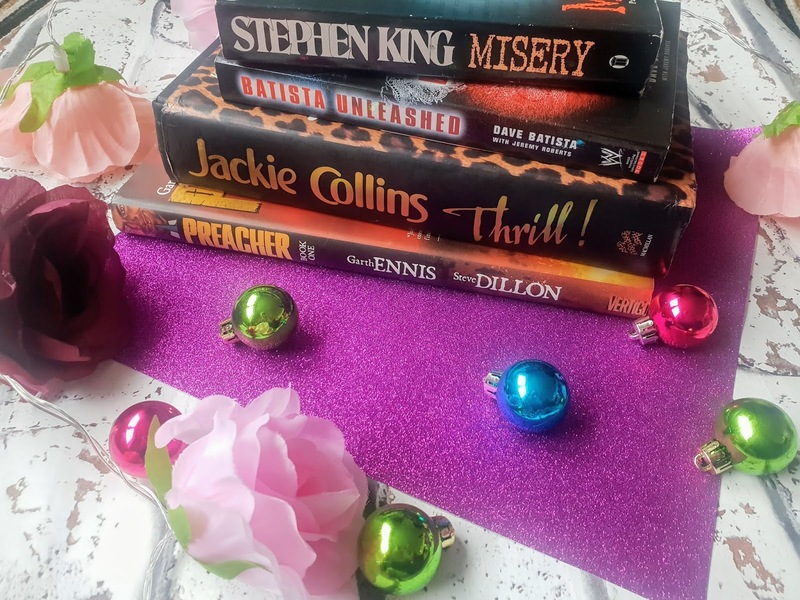 I had so many books I wanted to read but never got round to it for whatever reason but the books I did read were amazing so that makes up for not reading many as many as I wanted to, right? When it comes to books I am not fussy when it comes to the topic, I love to read a variety of different books. My all time favourites have to be Fiction, Romance and Sci-fi and Fantasy novels. I know they may sound random but it really just depends on my mood and how I feel to which genre I choose. I wonder if anyone else like me and likes to read more than one book at once... like I mean not literally at once but start one book then another not long after and alternate between the books...? I sure do LOL. Now the film is amazing and it still makes me cringe so badly in one of the particular scenes.. I am sure many of you will know which scene I mean if you have watched the film. Now the film is just amazing but the book for me is my favourite, it is more in-depth and you get to know more about how each of individual character feels like from their point of view and it sounds daft but even you can guess the scents in the book too, its written so well. If you love thriller books I am sure you will like this book. A little info on the book is basically about a writer who visits a wooden cabin as he always has done to get some inspiration for a new novel. He finishes a novel but ends up crashing in a snowstorm luckily/unluckily for him his biggest fan saves him from the wreckage. Hes in and out consciousness and by the time he wakes up he's in his biggest fans home to which he realises its not right but he can't do anything as he has broken bones and the weather is terrible. He has to write for his life...literally. Now many of you may have heard of Dave Batista from the Avengers Infinity War film in which he plays the character Drax the Destroyer but for me, I have been a huge fan of his since he was a wrestler in WWE. I love his character as a wrestler and have watched a few of his films, so it was only right to read a book about him. The book explains his life from his upbringing to him learning to be a wrestler to finally reaching the WWE. If you are a fan of wrestling or Dave Batista I would recommend this book for sure. I have lost count of how many Jackie Collins books I have now but my goodness they are just fabulous reads. Thrill has many twists in it and has a romance between a top actress and an up and coming actor. It has lots of romantic and some darn right rude parts in the book in the book that makes me blush but they are written perfectly and fit the theme of the book perfectly. The characters have a story behind them and they are lots of secrets and twists in it too. I sure got a few shock moments at some of the parts in the book. I am a huge fan of the TV Series Preacher. I have watched all of the series on Amazon Prime and I just adore them. I decided to get the adult comic to keep me occupied until the next series came out. Now the book is in a series and my goodness they are barely like the series at all. Both are amazing in their own rights. Preacher book one is an epic journey of a Reverend Jesse Custer as he tries to track down God as lots of weird things has been happening in the small town were he was a preacher at. He tries to dins answers with his best friend a vampire and also his ex-girlfriend. I am so excited to read the next book OMG. 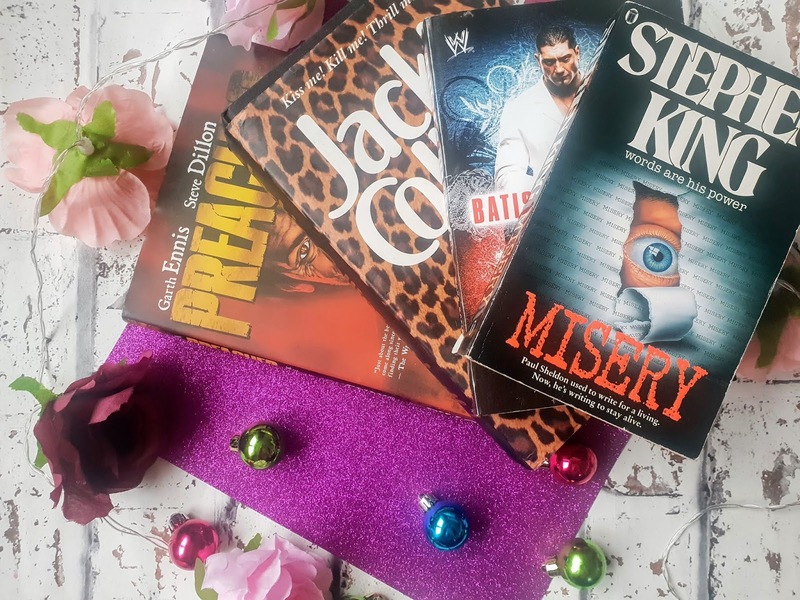 Preacher Book two to six - I have read the first book so its only right to read the rest of them right? Christ Jericho Undisputed - Another wrestler I am a fan of! Lots of positive reviews, can't wait to read this. Essex Serpent by Sarah Perry - I bought this ages ago because I loved the book cover, so need to read this soon. Game of Thrones by George R.R Martin - I have tried to read this before but the size of the book put me off. My mum recommends me to read this book collection. IT - Stephen King - Now the bloody film scared me off my seat and I am sure the book will be as good. The Raven by Edgar Allan Poe - I have heard Christopher Lee read this and it's just so deep, I need to read it for myself. What books have you read in 2018? 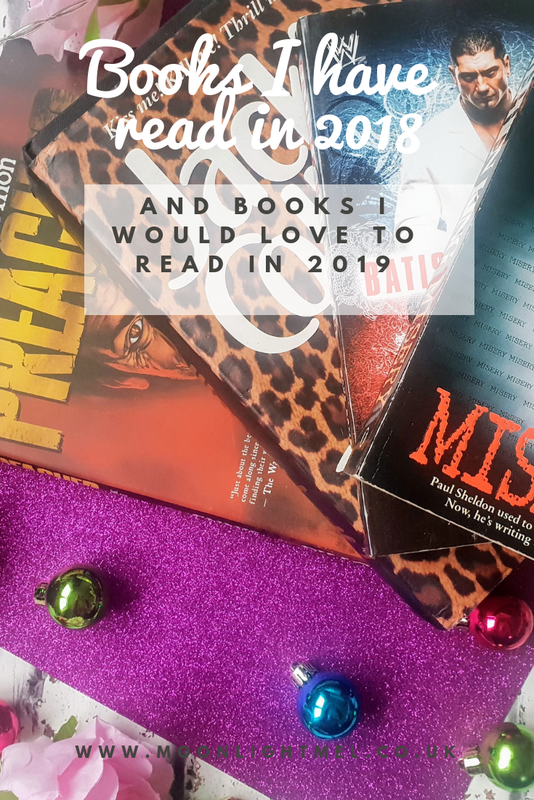 Do you have any books suggestions for me to read this year?